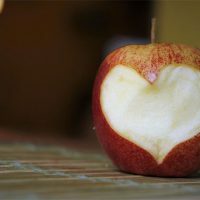 We all know why we should eat enough fruits and veggies, right? But just to remind you… Vegetables and fruits are full of vitamins, minerals and antioxidants and consuming them will help you get essential nutrients your body needs in order to stay healthy. If your body doesn’t get enough of the right nutrients, this can affect your immune system, energy, your skin, joints and even your mood. What’s more, when you eat what your body needs you reduce your risk of various health conditions and diseases (heart disease, cancer, osteoporosis, for example). We all know that it’s not always easy to eat healthily and eat enough vegetables and fruits daily. Many people don’t even think too much about their diet and just get on with their busy lives. But if you want to stay healthy you should really put some thought into what you eat every day. If you don’t eat enough veggies and fruits, then it’s time to do something about it. I always recommend people to eat either some fruits or some veggies with every meal they eat. Fruits also make a good snack. Unfortunately, many people have busy and stressful days and struggle with their daily greens quota. Who would think about that when there are kids to look after or you are so busy with your job that you don’t even have time to eat? I totally understand. The solution? You could supplement but I never buy or recommend synthetic vitamins from the shops. That’s because they are not very natural and your body will struggle to absorb a big proportion of the nutrients. These supplements also contain additional ingredients such as harmful fillers, artificial colours and additives. Why do you need to consume these when you can find other, more natural options on the market? Recently I came across a company called Organax and their organic superfood powder blends are a great natural source of various minerals and vitamins. These powders are certified organic, 100% natural, raw, vegan and gluten-free. 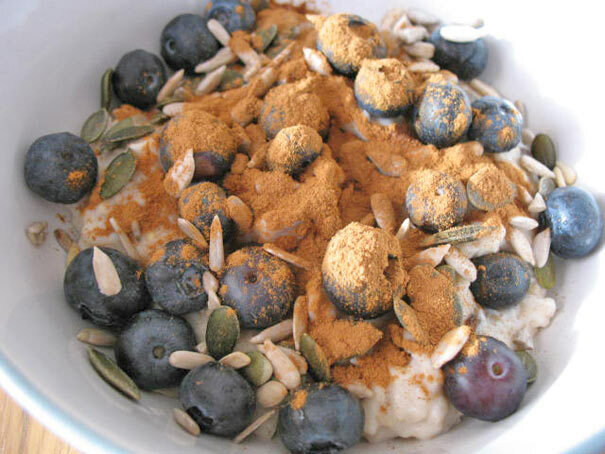 When you struggle to eat healthily I couldn’t imagine supplementing with anything better. 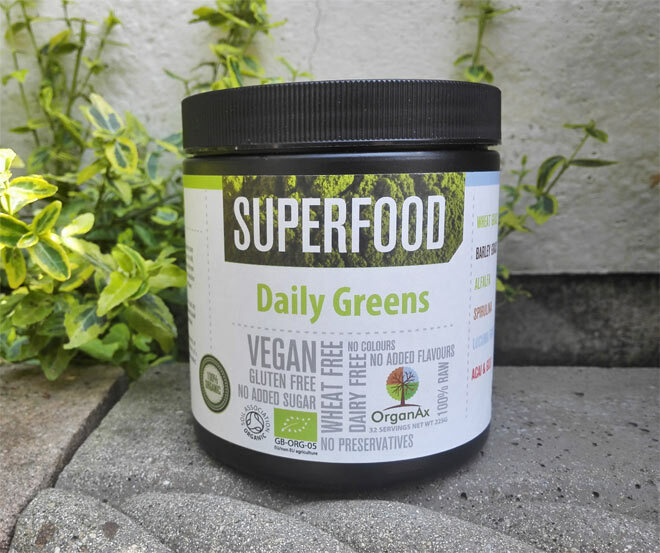 Organax offer a variety of superfood powder blends but the one I’ve tried is their Daily Greens blend which is packed with organic fruits, vegetables, herbs and a range of minerals to kick start your daily wellness. 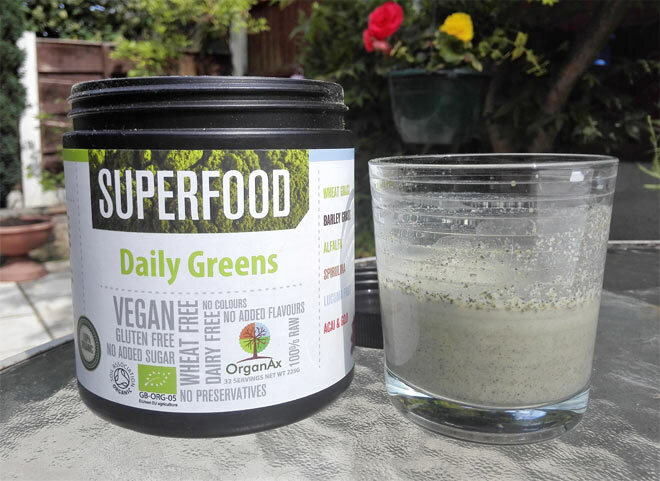 What I really like about Organax Daily Greens superfood blend is that it doesn’t taste bad. 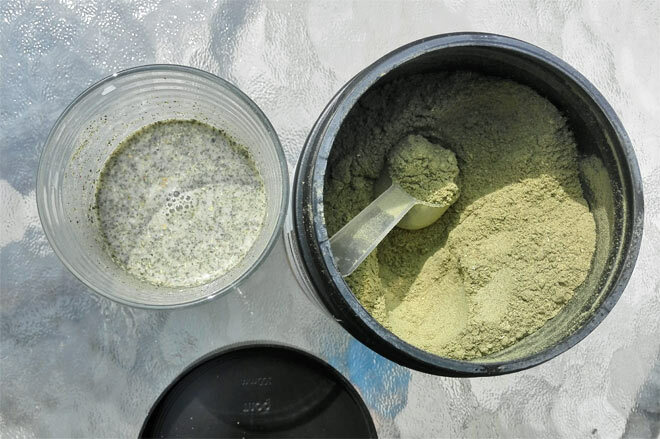 In the past, I’ve tried spirulina powder and I just couldn’t drink it as it was so bad, really really horrible. At the end, I binned it as it went out of date. Organax Daily Greens powder, on the other side, tastes totally fine. The taste is not revolting at all, it’s actually slightly sweet which must come from various organic fruits in contains. Although it contains some spirulina powder you really cannot taste it. In this powerful anti-oxidant blend you will also find barley grass, wheat grass, acai, goji berries and a heap of other organic ingredients such as linseed & flax seed fibre, cinnamon powder, rosehip skin powder, broccoli powder, spinach powder, carrot powder, just to mention a few more of its ingredients. The Daily Greens blend is designed for all to provide optimum nutrition, support the immune system and protect against free radicals. It has anti-inflammatory and anti-ageing properties. To drink it, I’ve been adding it into a little bit of coconut or almond milk but you can also mix it into juice or add it to your smoothie. All you need is one scoop a day. When you add it to some liquid I recommend you use a whisk to create a smoother drink (otherwise you get some clumps). I really like Organax Daily Greens superfood blend. It’s such a great way of adding extra vitamins and minerals to your diet without consuming harmful ingredients. I especially like that it’s organic and made with the highest quality ingredients and let’s not forget that it doesn’t taste bad at all. What’s more, it’s suitable for those with allergies as well as it doesn’t contain wheat or dairy products. It’s a definite winner for me. 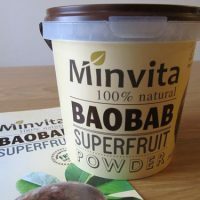 Do you need baobab powder in your life? I really like this powder, well worth trying! Yes, that’s right! I really love this particular brand because they are certified organic.